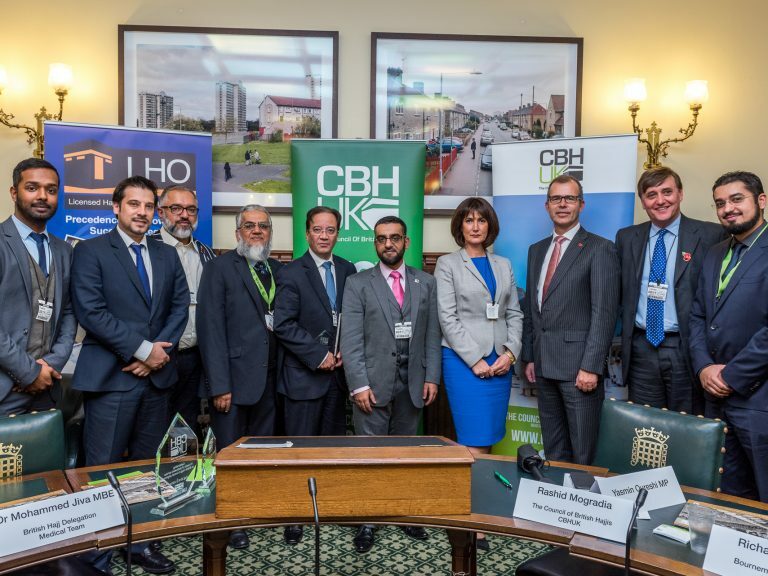 The UK Hajj & Umrah Excellence Awards launched at the 2nd CBHUK Hajj Parliament Debrief in 2016 which recognises the contribution from within the Hajj & Umrah industry in providing services to British Pilgrims. The 2018 Excellence Awards is set to encompass a much wider recognition of service providers from Airlines to hoteliers and from catering companies to telecoms providers. The Hajj Awards is organised by CBHUK, a UK national charity. Participants to their Debrief events include Members of Parliament and the Hosue of Lords, Saudi Embassy, Foreign & Commonwealth Office, Trading Standards, Police, UK Hajj & Umrah Tour Operators, Saudi Hajj & Umrah service providers, Academics and those involved in Hajj & Umrah planning.